Matthew Pitt offers advice to help you avoid slipping into certain behavioral patterns when playing online that can negatively affect your bottom line. If you listen to or read interviews with some of poker’s top players, the vast majority of them will admit that it is becoming increasingly difficult to win money from the game, especially online. As more and more information floods into the poker community regarding how to play optimally, players become more knowledgeable and the games grow tougher. That is not to say that there is not a lot of money to be won from playing poker online, because there is. You do, however, need to look for and push any edge that you can find or create for yourself. Some of these edges can come from paying a coach or joining a poker training site to help you improve your skills. But there are a few things you can try that cost absolutely nothing that could see your win rate increase. 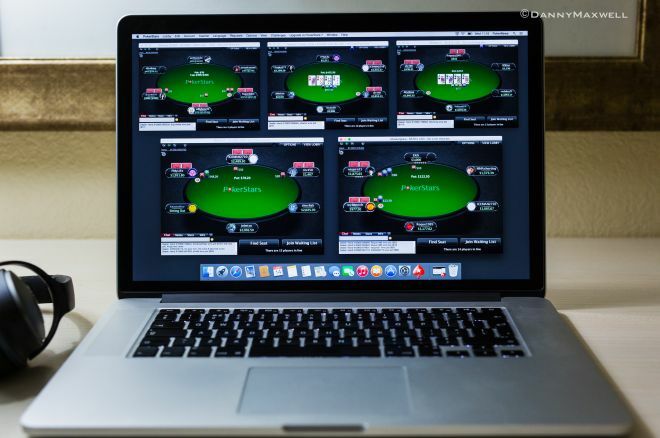 How often do you play online poker with Facebook, Twitter, poker forums, or your internet browser open? I’d be willing to stake decent money that many of you just said “always.” I’m guilty of it, too. In fact, I often play from my living room where the TV is on which means sometimes I’ll find myself engrossed in the big screen rather than what’s happening on my laptop. When you’re playing poker, poker should receive 100% of your attention. You can always check your social media streams on a break or once your session is complete, but try not to look at them while playing. Perhaps if you’re able to mess around on the internet while playing poker, you should consider adding a few more tables to your screen and dedicate time spent looking at cat memes to playing more poker. This is all down to personal preference, but you should make sure you’re seated comfortably. I know people who have forked out hundreds of pounds on a state-of-the-art office chair and can only play their best poker when sat at an actual desk. Others prefer to crash on a bean bag or something similar, while I prefer the comfort of my sofa. Remember that you could be grinding for several hours. Making yourself comfortable means you’ll be able to concentrate for longer and be able to think more clearly. Without a doubt, this has been one of the biggest flaws in my game and one that has cost me a lot of money. I believe that you should only play poker when you really want to rather than playing because you have a couple of hours to kill or because playing poker is what you do on a Wednesday evening. I’ve lost count of the times that I’ve started registering for tournaments just because the kids were in bed and the Mrs. was watching some drivel on the TV. I’d be a half-hour into the session before realizing I wasn’t really in the mood for playing poker — a bit late to have such a revelation when you have several tournaments on the go! Also, I personally avoid playing poker if I’ve had a rough day at work, if the kids have been playing up, or similar distractions have arisen. It is easy to think that doing something you love will help alleviate stress or make you feel better, but poker can be stressful in its own right and if you don’t go into a session with a positive mentality to begin with you may as well set fire to your bankroll. I remember reading an interview with Gavin Smith many years ago where he claimed most poker players play better with three drinks inside them, but the key was to maintain that level and not go over it — that is, not to continue with yet another drink and so on. Easier said than done, sometimes. I’m a drinker and often feel that poker and beer go hand-in-hand because it’s a social game. However, even a small amount of alcohol can impair your judgement and reduce your ability to perform calculations or assess situations with the focus they deserve. Drinking also starts to dehydrate you and that is particularly bad because our brains are made up of around 73% water. Even a tiny reduction in hydration can cause fatigue, change your mood, and affect concentration. If you do want a beer, wait until your session is over. It can also make you urinate like a racehorse and you don’t want to be rushing to the toilet every ten minutes or having to use a makeshift poker potty, do you? Along these same lines, you should avoid playing poker immediately after eating a large meal, particularly if it is rich in protein. When we consume a larger meal, our bodies divert blood towards the stomach and intestines to aid with digestion, hence why you often feel sluggish or fall into a dreaded “food coma.” It doesn’t take a genius to work out that feeling tired and lethargic at the tables is not good for a poker player. As a tournament player, I look forward to those five short minutes every hour when all my tables pause. I always make sure I get up from the laptop and do something during those synchronized breaks. Use this time to do some stretches, grab a drink (non-alcoholic), get a small snack, or just go for a quick walk. I like to stand outside for a few minutes, particularly on a clear night when the air is cooler and the stars are in the sky. I find this relaxing and rejuvenating and I head back to my session refreshed and ready to go. Some or all of these five tips may seem like common sense to most of you, yet a large percentage of you won’t employ them regularly. Sometimes it is the simplest of solutions that are the best ones. I urge you to give them a try for the next week or so and see if they do have a positive effect on your game.